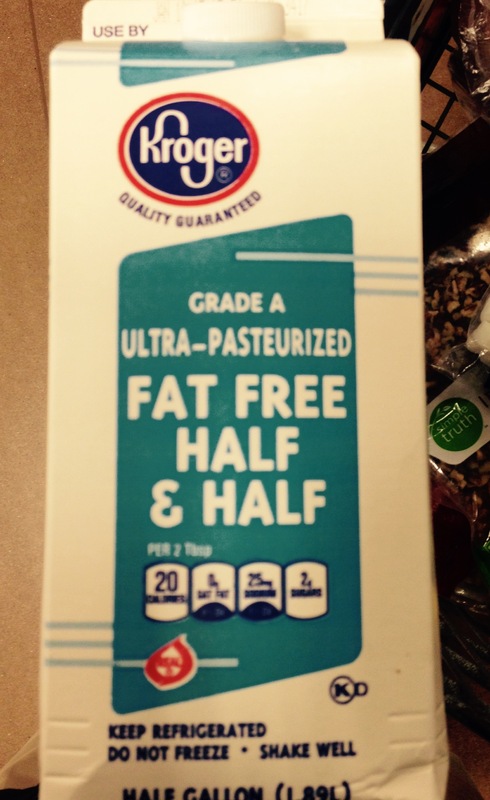 Kroger sells a product they call “Fat Free Half & Half.” Half & Half is supposed to be half cream, half whole milk, with a butterfat content of about 12%. TWELVE PERCENT. What’s the story, Kroger? I invite spokespeople from Kroger, all members of the dairy industry, and anyone who has ever tried this product to comment.